The National Organization for Women (NOW), NYC Awards the Ain’t I A Woman!? Campaign | Ain't I A Woman?! On February 24, 2011, The Ain't I A Woman!? 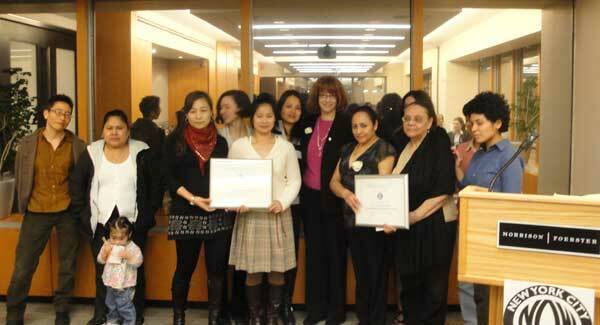 Campaign was awarded the Susan B. Anthony Award by the National Organization for Women, NYC. The NOW-NYC Susan B. Anthony Awards honors grassroots activists dedicated to improving the lives of women and girls and advancing equality. In recognition of the 100-Year Anniversary of the Triangle Shirtwaist Factory Fire where 146 workers perished, this year’s celebration honors women workers organizing for change in New York.